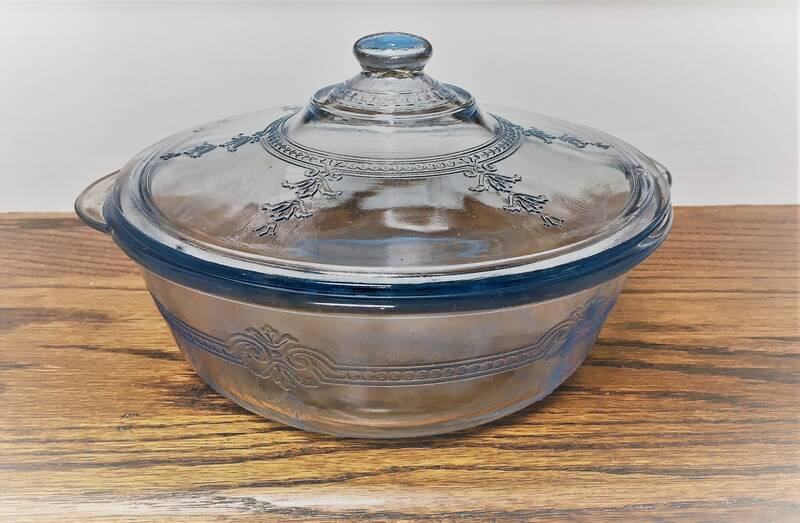 Featured is a nice 7 inch covered casserole dish from Anchor Hocking. 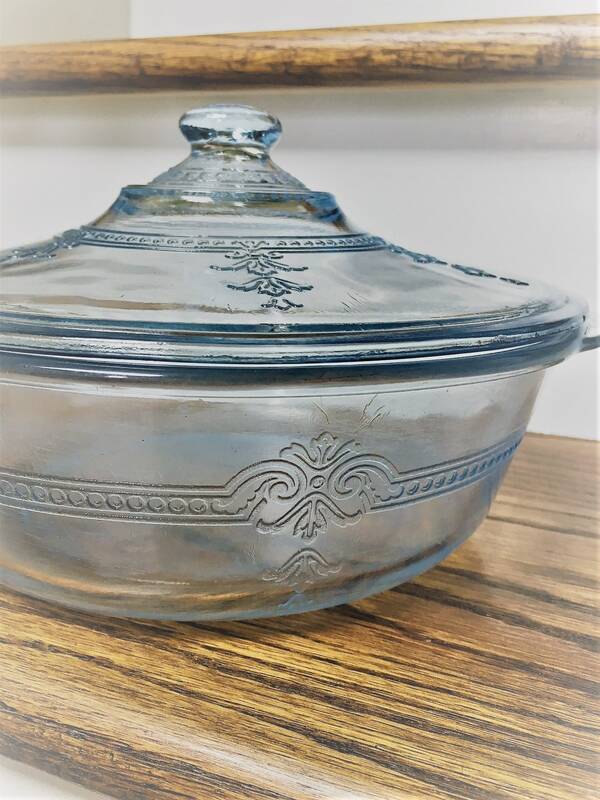 This piece was marketed as Fire-King Oven Glass and was produced from 1942 into the 1950's. 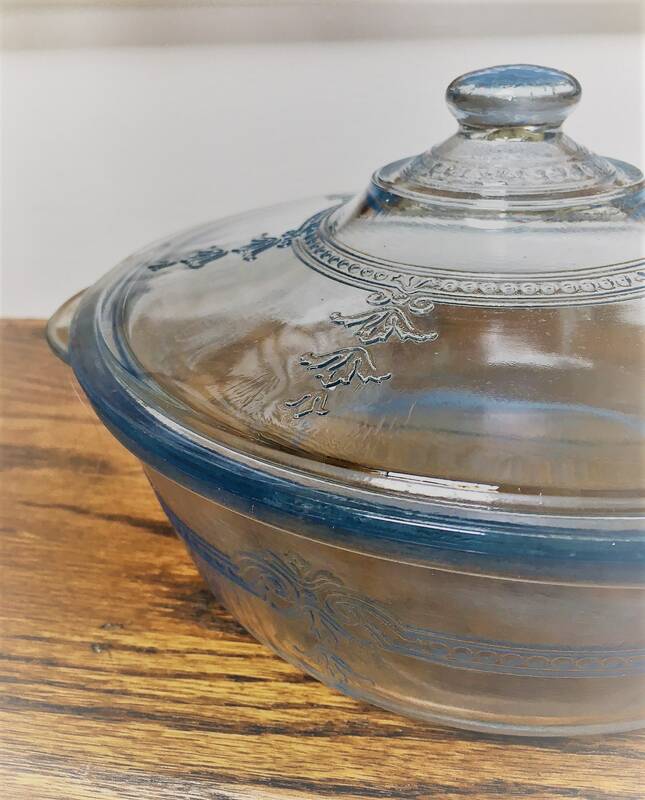 Collectors have come to call the pattern Philbe, and this piece is in Sapphire Blue. This dish is in pretty good condition. 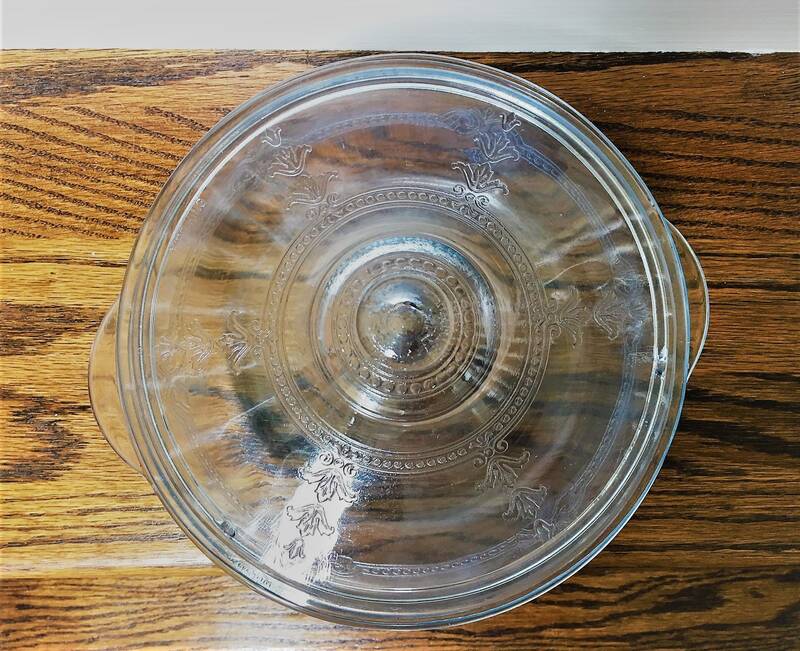 There are a couple chips to the inside rim of the lid, and there are utensil scratches to the inside of the base. Still, a solid piece, and the price has been reduced to reflect the condition.